The Group Stage is Over. See the Knock Out Stage. There are many different betting markets that have been priced up ahead of the World Cup 2018. UK betting sites have compiled the odds for a variety of different outcomes and one of our favourites is the knock out stage, but first let’s take a look at the teams that qualified from each group. 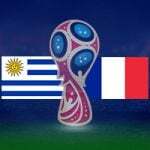 Uruguay finished first and will play Portugal in the next round, click here for the match prediction. Uruguay – The two-time winners finished top after taking maximum points from their three matches. They also kept clean sheets in each of their games and look defensively sound with Diego Godin and Jose Gimenez looking assured at the back. Russia – They scored eight goals in their opening two games and that was enough to seal their place in the last 16. The hosts put five past Saudi Arabia but suffered at the hands of Uruguay. They weren’t helped by going down to 10 men in that game and will need to get back to basics in the next round. Saudi Arabia – Saudi Arabia scored a late goal to seal three points and move above Egypt at the bottom of Group A. They conceded seven goals and netted three and secured third place. Egypt – Despite the presence of Mo Salah, Egypt struggled throughout the tournament and finished bottom of Group A. They failed to register a point although they came extremely close to holding Uruguay to a draw. Portugal finished second and will play Uruguay in the next round, click here for the match prediction. Spain – Fernando Hierro’s side made hard-work of their qualification although five points from a possible nine proved to be enough. Their defence conceded five times and questions must be asked about their 2-2 draw with Morocco. They remain unbeaten and finished ahead of Portugal on goals scored. Portugal – Cristiano Ronaldo helped Portugal to finish second place with four goals in three matches. They played some dull football at times and failed to beat Iran in their final Group B game. They will need to be much more effective in the knock-out round. Iran – Iran opened up with a victory over Morocco and Carlos Queiroz’s side collected four points in Group B. They were a hard-working side who closed down the space effectively and restricted their opponent’s chances. A lack of killer instinct prevented them from qualifying. Morocco – Morocco were an exciting team to watch and they created plenty of opportunities. Sadly, they couldn’t find a way past Portugal and they went into the final game with nothing to play for. Their 2-2 draw with Spain was a notable outcome. France – Les Bleus remained unbeaten throughout their Group C campaign but they only netted three times and were hardly convincing. Didier Deschamps’ side look solid at the back but they struggled to carve out clear-cut chances. They scraped through. Denmark – The Danes picked up one win and two draws but didn’t play particularly well in any of those games. They were lucky against Peru and survived a missed penalty whilst Australia’s wastefulness in front of goal let them off the hook. Peru – Peru were hugely entertaining to watch and were rewarded with a 2-0 success against Australia in their final Group C game. They should have scored against Denmark but just couldn’t find a way past Kasper Schmeichel. Australia – The Socceroos finished bottom of the pile after picking up just a single point from their three matches in Group C. Both of their goals came from the penalty spot and they lacked firepower throughout the tournament. Croatia – Croatia enjoyed a perfect qualifying campaign collecting maximum points from their three matches. Zlatko Dalic’s men conceded just a single goal in 270 minutes of football and that came from the penalty spot. They netted seven times and their 3-0 hammering of Argentina helped them secure top spot. Argentina – They fell over the finishing line to secure second spot after collecting just four points from a possible nine. Jorge Sampaoli’s men put on a defensive horror show against Croatia and didn’t keep a single clean sheet in Group D. Marcos Rojo’s late winner secured them a place in the next round. Nigeria – The Super Eagles narrowly missed out on qualification but looked lively going forward. They weren’t particularly good against Croatia but they beat Iceland and almost held Argentina to a draw. Iceland – The World Cup debutantes started with a creditable draw against Argentina but were unable to follow it up and they were eliminated after collecting just one point from three games. They are still looking for their first ever World Cup win. Brazil – Tite’s side expectedly finished top of this group with seven points from a possible nine. They netted just five times in their three matches and only conceded a single goal. They finished two points ahead of Switzerland who were also unbeaten in the group stage of the tournament. Switzerland – The Swiss conceded a late goal to Costa Rica but still managed to qualify for the round of 16. They didn’t keep a clean sheet in Group E but are difficult to beat and that could be extremely handy in the round of 16. Serbia – They opened with a victory over Costa Rica but subsequent defeats against Switzerland and Brazil eliminated them from the competition. They made themselves tough to beat but it wasn’t enough to keep them in the 2018 World Cup. Costa Rica – The 2014-surprise package couldn’t replicate their heroics from four years ago and finish bottom of Group E. They failed to find the net in their opening two matches but their 2-2 draw with Switzerland ensured they picked up a point. Sweden – Janne Andersson’s side surprisingly topped Group F picking up six points from a possible nine. They beat South Korea and Mexico but lost to Germany. They kept two clean sheets and are incredibly difficult to breach. Mexico – Mexican fans could finally celebrate upon realising that their side had done enough to qualify for the knock-out round after collecting six points from a possible nine. South Korea’s victory sent them through to the next round following a limp display against the group winners. South Korea – The 2002-hosts were unlucky to lose their opening game against Sweden and despite putting up a fight against Mexico, they couldn’t secure a point. Their coup de grace came against Germany with two late goals ensuring a memorable victory. Germany – Joachim Low’s side were surprisingly eliminated from the tournament at this early stage with the holders losing two of their three games in Group F. They slipped up against South Korea and finished bottom of the group. Belgium finished first and will play Japan in the next round, click here for the match prediction. Belgium – Roberto Martinez’s side remained unbeaten throughout and scored nine times in three games. They kept two clean sheets and despite resting the majority of their players for the England match, they were 1-0 winners. England – The Three Lions picked up their record World Cup success with a 6-1 victory over Panama and easily qualified for the knock-out round. Gareth Southgate opted to chance his XI against Belgium but his side had already guaranteed a place in the last 16. Tunisia – They competed admirably against England and were undone by two Harry Kane goals. The North African side looked dangerous going forward but were far too open at the back. They ended with a 2-1 victory over Panama which was their first success at the tournament in 40 years. Panama – Debutantes Panama went home without a point to their name despite some spirited performances. They scored their first ever goal in the competition against England and added a second against Tunisia but they couldn’t hold on for a memorable point. They finished bottom of Group G.
Colombia finished first and will play England in the next round, click here for the match prediction. Colombia – Jose Pekerman’s side got off to a poor start, losing 2-1 to Japan and losing Carlos Sanchez to a red card after just three minutes. They weren’t able to recover their composure but showed their quality in the remaining two matches. They eased past Poland and Yerry Mina’s bullet header gave them three points against Senegal leaving them top of the group. Japan – The Blue Samurai qualified by the skin of their teeth, progressing courtesy of the fair play rule. Akira Nishino admitted his side were relying upon Colombia beating Senegal and his team didn’t have a ‘Plan B’. They picked up just four points and may struggle in the knock-out round. Senegal – The African side were hoping to represent their continent in the last 16 but they just fell short. Aliou Cisse’s men couldn’t make their dominance pay against Colombia and they crashed out due to a high volume of yellow cards. They finish on four points. Poland – The Poles were poor in their opening two matches, conceding five goals which eliminated them from proceedings. They beat Japan in their final Group H game but it was too little too late. Robert Lewandowski didn’t score a single goal at the tournament. There are a number of other betting markets which are offered by most UK betting sites and here at BettingTop10, we have compiled information on some of the more enticing possibilities. Outright Betting – This is the most popular market and simply requires punters to choose which team will win the tournament. There are some big prices available. Top Goalscorer – There are likely to be some star performers on show in Russia and this is predicting which player will score the most goals throughout the tournament. To Reach the…. – This is a bet which is available on a variety of different stages of the competition. This can be narrowed down to the quarter-finals, semi-finals and final. You don’t need a side to win the tournament, just simply reach the final eight, four or two (depending on the bet).